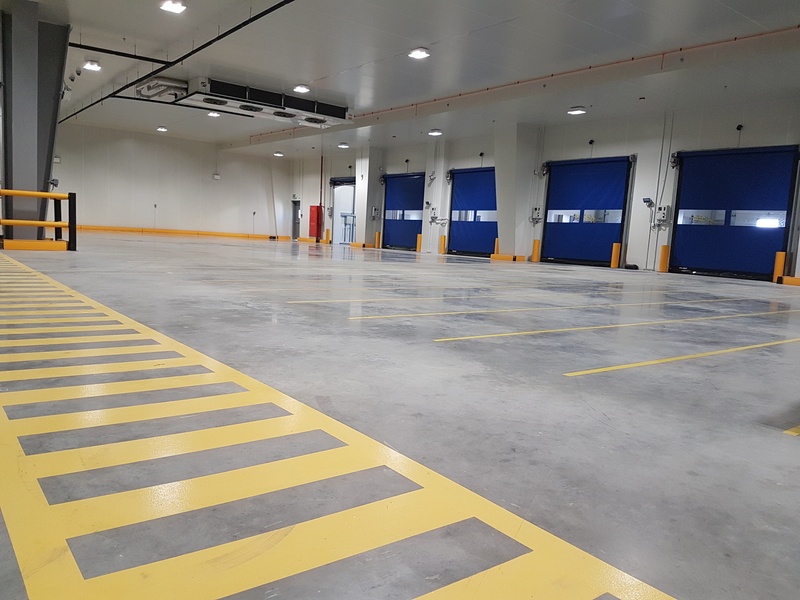 Carrefour's new distribution centre in Dubai is the largest FMCG logistics hub in the region and reflects the growing need for retail logistics locally and the changing nature of customer demands. Twintec designed and constructed a large panel (up to 42m x 40m) steel fibre reinforced ‘jointless’ concrete floor slab to ensure Carrefour realise long term operational benefits in business efficiencies and provide a floor slab that will substantially reduce maintenance costs on the floor and MHE equipment. The Co-sinus steel armoured construction joint was used in conjunction with the Peikko Terra joint to maximise load transfer capabilities and floor operational efficiencies. The selection of concrete materials, mix design formulation, and testing program were coordinated jointly by Transgulf Readymix and Twintec's team to precisely meet the objectives of the high performance ‘jointless’ concrete floor slab. 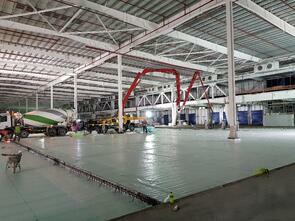 The combination of concrete mix consistency and controlled supply rate, using Transgulf Readymix's Dubai Central Laboratory (DCL) certified concrete batching plants and delivery trucks, met the robust quality control strategy demanded by Twintec to successfully achieve the high standard of the finished floor. The fast track construction programme demanded by Carrefour and Amana Steel Contracting & Building was also applied to the floor slab and Twintec’s highly skilled and experienced production team averaged 2,156m2 per day, 6 days a week whilst maintaining the Twintec standard high quality finish. All construction projects require a team effort to get the job done. Twintec's longstanding supply chain partners together with Transgulf Concrete, B&A Engineering Consultants, Giolog Project Management and Amana Steel Building & Contracting all contributed to achieving client satisfaction.